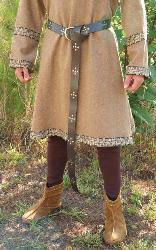 This undertunic is a great piece of Medieval clothing with eyelets and leather lacing at the neckline. Wear it alone, or with any of our Legends of Sherwood apparel. 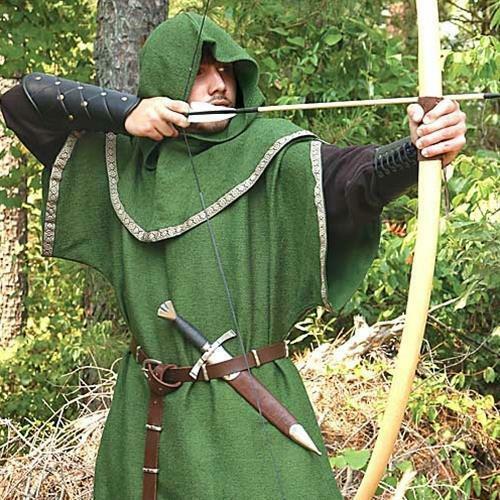 It is a perfect partner for our Lord Huntingdon green archer's overtunic. 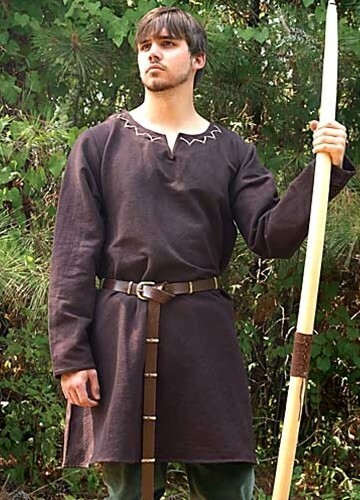 The undertunic is 100% cotton, and comes in sizes S/M and L/XL. See size chart below. The Medieval Longbow is no longer available. The Leather longbelt is sold separately.